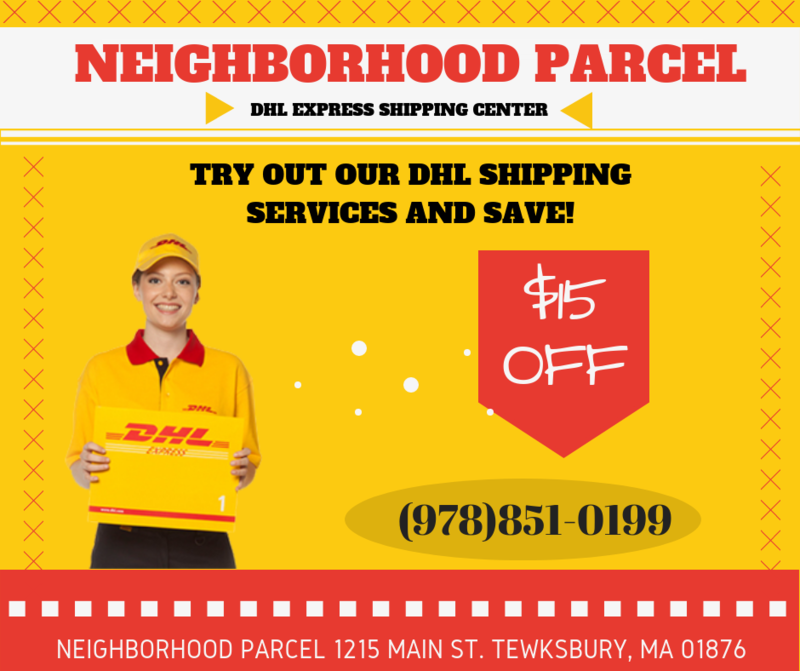 Neighborhood Parcel is DHL Authorized Shipping Location (DASC) for over a decade and has focused on international shipping since we opened our doors in 2007 in metro Boston MA. DHL is the largest international shipping company in the world, delivering to millions of addresses in more than 220 countries. We know that shipping overseas can be complicated and very expensive when you use the wrong carrier or having no knowledge of international Customs rules and regulations. Understanding these rules and regulations is key to having your shipment delivered safely and without incurring additional fines or getting the shipment confiscated. Not all shipping centers are the same! 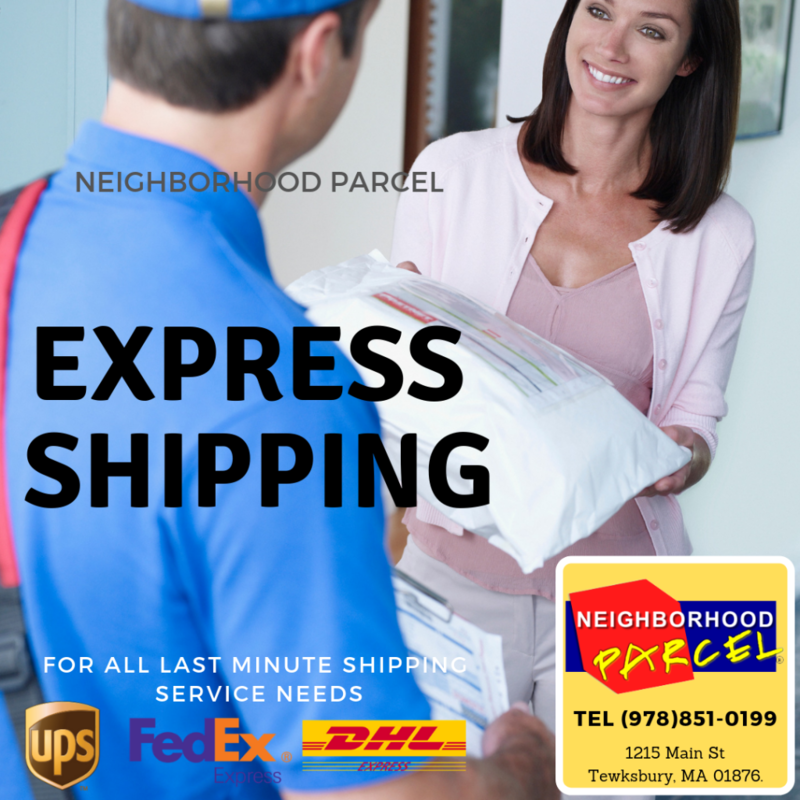 As anAuthorized Shipping Center (DASC), Neighborhood Parcel is officially recognized by DHL Express as the international shipping experts in the Boston, MA area. Our staff has been trained on prohibited commodities, customs, documentation and delivery options to all countries served by DHL Express, so you can rest assured that your valuable shipments will arrive on time, intact, without Complecations. Over a decade in handling international shipments. Expert In Packaging Service, to minimize cost. Free Pickup Service in metro Boston MA. The Neighborhood Parcel location is conveniently located at 1215 Main St, in Tewksbury MA 01876. Minutes away from Boston and offering Free Pickup service to all our customers in metro Boston, MA. No packaging? No Problem, we have free DHL supplies and can help you package you valuable shipment. I hated dealing with DHL and doing my own label because I got burned a couple of time. Either the DHL truck does not come at all to pick up my shipment or it gets stopped in customs because I did not do the paperwork correctly. So, I learned the hard way. Don’t do what I did. International shipping is not a DIY project. I hired Neighborhood Parcel and every time I ship with them, not only my package gets delivered on time, their rates are 10 to 20% less than DHL.com plus no pickup fees and no waste of time waiting for DHL truck to show up. I highly recommend Neighborhood Parcel for all DHL international shipping needs. They are worth the drive!